Regarding climate, I am neither optimistic nor pessimistic. I am an activist. The big picture is clear. It is our corporate duty to fight climate change brought on by carbon emissions. But we are running against the clock and we must act now. As the Paris climate agreement maps out, we must limit global warming to 2 °C above preindustrial levels. Globally, that means cutting emissions in half by 2050. During the same period, as world energy consumption will go up by almost 50%, we must become three times more energy efficient to steer the course towards a better climate outlook. This collective mobilization includes Schneider Electric, our customers, the overall markets, other sectors, and consumers from Shanghai to New York and all points in between. We’re all energy stakeholders. We are in this together so future generations can enjoy a clean planet. As a technology company, Schneider Electric brings to the table solutions that drive energy efficiency and long-term sustainability. We’re committed to ensuring that Life Is On™ for everyone, everywhere, and at every moment. This corporate promise also means helping the 2.3 billion people worldwide who do not have access to reliable electricity. 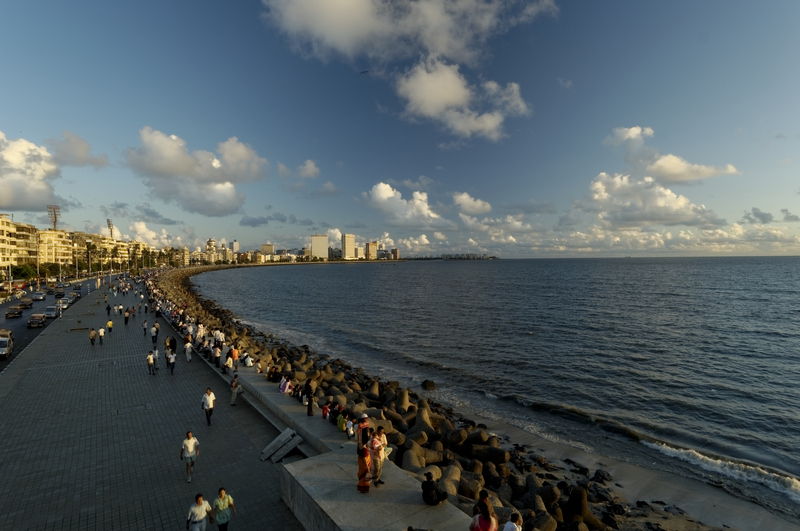 A Schneider Electric “Smart City,” Mumbai stands at the crossroads of today’s energy paradox. This booming city signals the growing global demand for energy, especially in emerging economies. At the same time, it places us in a world where access to clean energy is unreliable (and, in some cases, nonexistent). Climate leadership is a great opportunity for innovation. Technologies enable us to rethink the way the world traditionally has dealt with energy and greenhouse (GHG) gas emissions. Now buildings, for example, can eliminate massive amounts of energy waste and carbon output if they have the right tools to see it. For example, we have helped AEG, one of the world’s leading sports and entertainment presenters, cut GHG emissions by 14% over its 2010 baseline. Even energy-intensive industries such as cement play a role, too. China National Building Material Group (CNBM) improved its overall energy efficiency by ten percent. EcoStruxure™ is the common thread across our main markets. This architecture combines energy, automation, and software to accelerate efficiencies. It leverages Internet of Things advancements such as mobility and sensing to meet the demand for more sustainable and connected energy. It is our technological answer to the global call for climate action. We must be a model for our customers and other companies. At COP21 in December 2015, we pledged to become a net-zero company by 2030. Our 10 COP21 commitments guide our efforts. They also align to the Paris climate agreement and contribute to the United Nations Sustainable Development Goals. The report also illustrates ways we are closing the energy gap. To date, 4.2 million households at the base of the pyramid have access to energy thanks to our solutions and programs. We also have facilitated training in the electricity trades in emerging economies. We have trained more than 120,000 people in more than 20 countries since 2009. And this year, we expanded our Access to Energy training program to include entrepreneurship, including mobilization for female entrepreneurship in Brazil. We used to be among a group of corporate outliers with a rare “green for growth” approach towards building a sustainable economy. Now most companies can envision the possibility of a net-zero society in our lifetime and are taking steps in that direction. Profit without sustainability is not acceptable. We must act immediately for a better future. Liked your article very much. I hope, all companies / industriies follow the same path for making earth livable for future.